New Year 2018: Let us together defend the rights of all, Uphold freedom of speech as a human right and Make Canada a zone for peace! 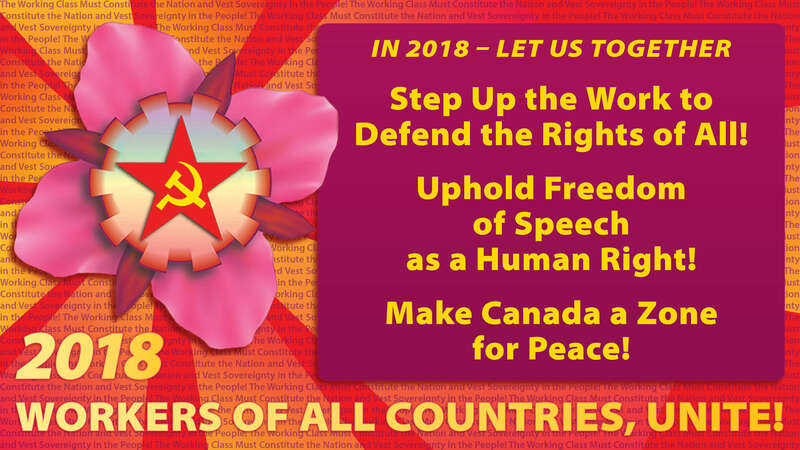 On the occasion of the New Year 2018, the Communist Party of Canada (Marxist-Leninist) sends its revolutionary greetings to the working people of Canada and the world. 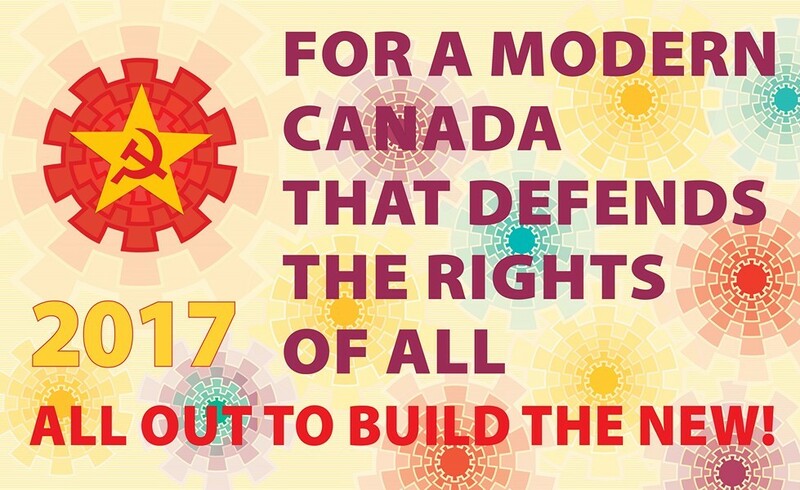 For a Modern Canada that Defends the Rights of All – All Out to Build the New! (December 30, updated January 5) – According to the CBC, the main “news” and social consequences of the record extreme cold weather seems to be the status of outdoor civic New Year’s parties, the condition of the ice on a short-term, multi-million dollar outdoor rink erected on Parliament Hill, polar bear dips, and an outdoor World Junior hockey game between Canada and the U.S. in Buffalo on Friday December 28th. 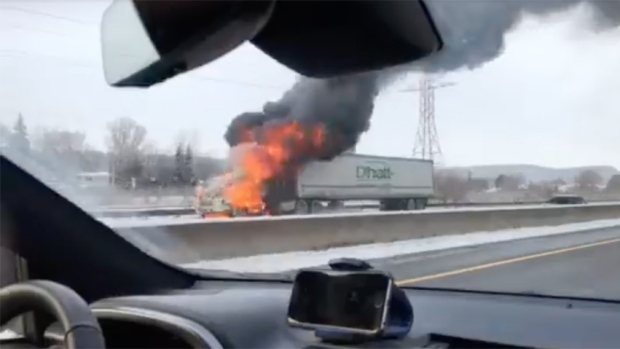 A fiery crash of a tractor trailer truck on the QEW (pictured above) that shut down the Niagara bound lanes near Bartlett Ave. in Grimsby was reported merely as a freak obstacle or an inconvenient “long delay” to the many Canadians heading to the game. While no one was hurt this time, the damage to the highway was extensive and will take time to repair. One CBC anchor, Hanna Thibodeau, joked with meteorologist David Phillips as to whether Russia was to blame for the Arctic front. 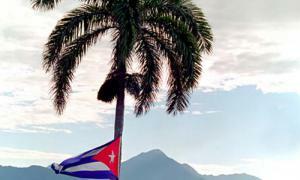 As 2017 ends, the working people face a media onslaught about what is going on in Canada and around the world, of which the weather occupies one sphere. We think that a sober approach going into 2018 is of importance. 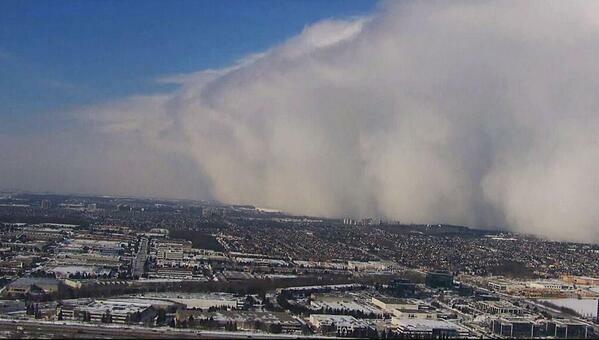 An awesome lake effect snow squall (snowsquall) drops heavy snow over Sudbury on February 27, 2014. Lake effect squalls from Georgian Bay are noted for their persistence and linear banding, producing blinding visibility on Highway 400. The following reflection was written on February 28, 2014 but for some reasons was not published at the time. I am posting it now in the midst of the extreme cold weather front that is gripping Canada and the United States.